After 45 years in the business, Cookie Monster is about to star in his first one-hour special! This new program, Sesame Street: The Cookie Thief will premiere Monday, Feb. 16 at 10am on CET and ThinkTV16 and at 1pm on ThinkTV14. This thriller of an episode guest stars Rachel Dratch of Saturday Night Live and celebrates the arts. 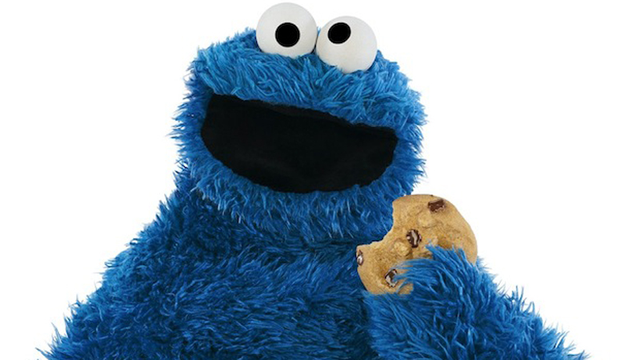 In The Cookie Thief, Cookie Monster explores the concepts of self-regulation such as impulse control, following directions and managing emotions. The episode features one of Sesame Street’s newest neighbors – a cookie art museum! Surrounded by beautiful cookie paintings, like “Girl With the Cookie Earring” and the “Muncha Lisa,” Cookie Monster and his friends feel as if they’re in a whole new world. But when art suddenly starts to disappear, Cookie Monster quickly becomes a suspect. Can Cookie Monster clear his name? Will they find the missing art in time or will Cookie Monster be banished from the museum forever? Sesame Street has also scheduled other all-new episodes to air during the week of Feb. 16 in honor of the new special. PBS KIDS is also rolling out a new Cookie Monster Cookie Thief game that should be available this month at http://pbskids.org/sesame/.